Growing both quickly and safely can be difficult for small businesses. As a small business you worry about survival and as you grow to a medium size you worry about dozens of issues; from continuing to grow your products to sales, from protecting your customers to beating your competition to market. You want a secure network but how many people can you justify in your IT department? Security does not have to mean a large IT staff. The Check Point 700 Appliances deliver enterprise-grade security in a simple, affordable, all-in-one security solution to protect small business employees, networks and data from cyber-theft. 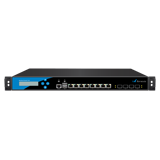 This one device offers integrated, multi-layered security; Firewall, VPN, IPS, Antivirus, Anti-Bot, Application Visibility & Control, URL Filtering and Email Security — all in a quiet, compact desktop form factor. The 700 Appliance runs the same industry-leading security that is used to secure Fortune 100 companies. Setup can be done in minutes using re-defined security policies and our step-by-step configuration wizard. Check Point 700 Appliances are conveniently manageable both locally via a Web interface and centrally by means of the Check Point Security Management Portal (SMP). All 700 Appliances come standard with eight (8) 1-Gigabit Ethernet ports. Connect securely from any device direct or through secure authenticated Wi-Fi. The Wi-Fi can even be partitioned separating guest from employee access. Network settings allow for URL and application filtering by employee function, and secure communications between offices is accommodated with VPN. 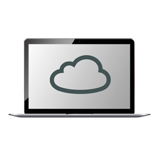 Remote access encrypts data traffic whether you are on the road or in the office. The 700 Appliances offer monitoring of network traffic by user and easily generate activity reports and logs.